Present state: The station has been tastefuly renovated and converted into a private dwelling retaining most of its original external features. A small stone building nearby is probably the weigh office. 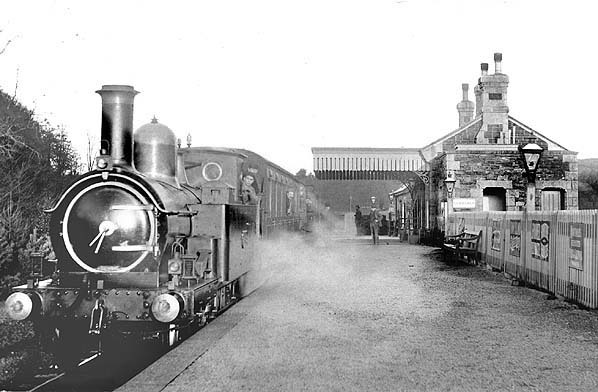 The station was the quietest on the line, losing its goods service on 11th June 1956. On the same date the station was downgraded to an unstaffed halt.. A loop line serving two small sidings, one to cattle pens was lifted in December 1956. 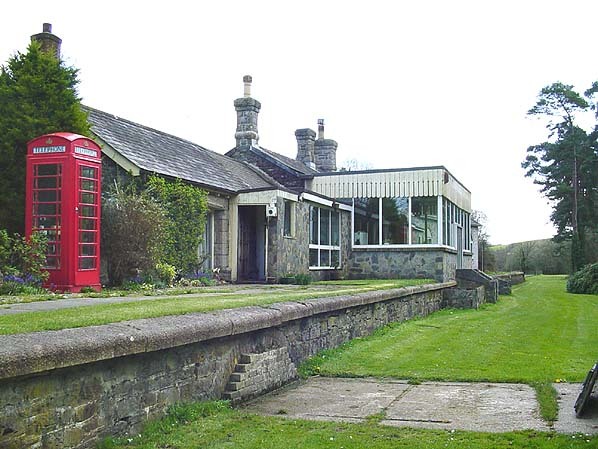 After closure the station remained derelict until it was bought by the present owners Bob & Beryl Gale in Nov 1970. The owners have, in the past, been troubled by trespassers but are pleased to show the station to intereseted visitors.